I drink a ton of water but lets face it, water can be boring. So when I am thirsty for something refreshing on a hot summer day after I have had my fill of water, I reach for a mocktail. Today I am making one of my summer favorites! Start by washing your lemon and cutting it in half. Next grab a 16oz glass and use a hand juicer to squeeze your lemon juice in the glass. Throw in 2 sprigs of basil and use a spoon to muddle it in the bottom of the glass. Add your simple syrup. I recommend using simple syrup in cold drinks because sugar doesn’t mix well in ice cold drinks. You may like more sugar than me. I like my lemonade drinks on the sour side! Finallly fill your glass with ice and add water. Stir well and add a paper straw for fun. 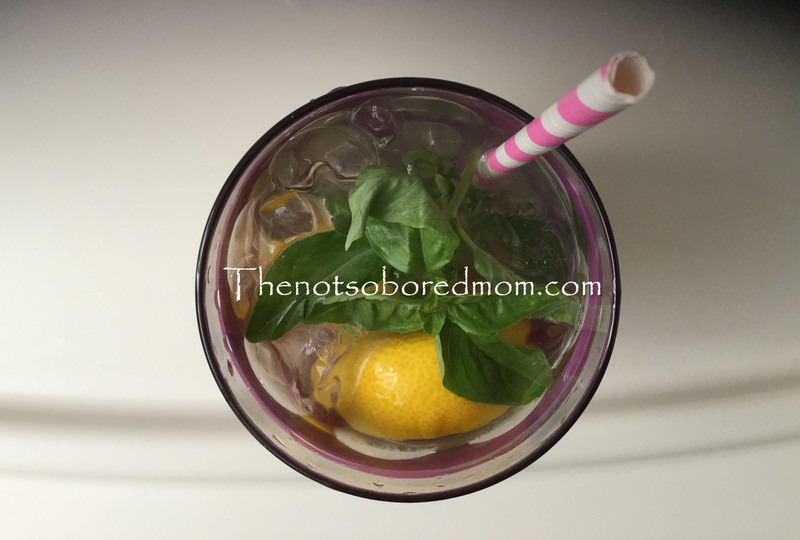 Top with a half of a lemon and a sprig of basil. These are so refreshing and they make a fun treat for kids too instead of soda! 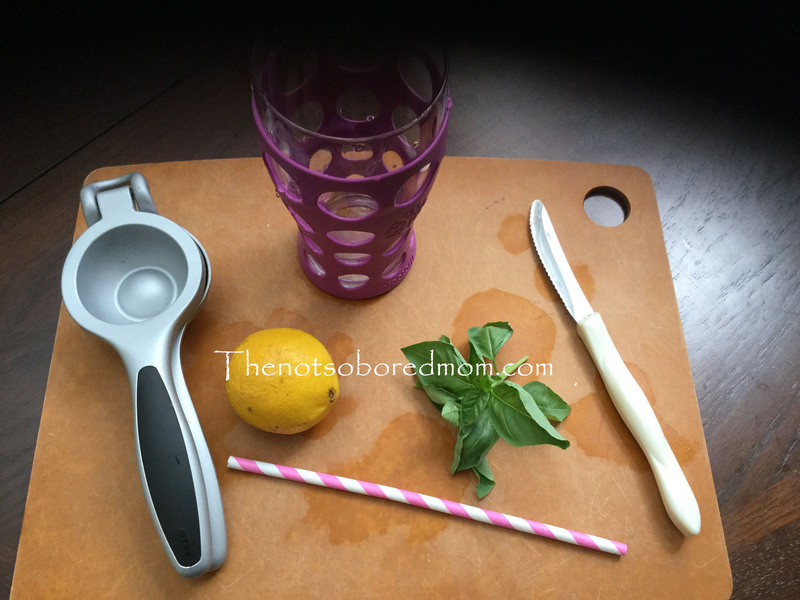 Do you make mocktails at home? What is your favorite? Previous postWhat is in your diaper bag?